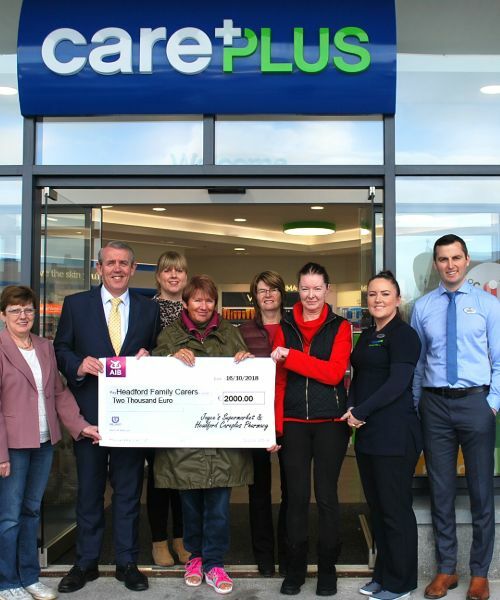 Pharmacy in conjunction with Joyce's Supermarket Headford were delighted to present the Headford Family Carers Group with a cheque for €2,000. 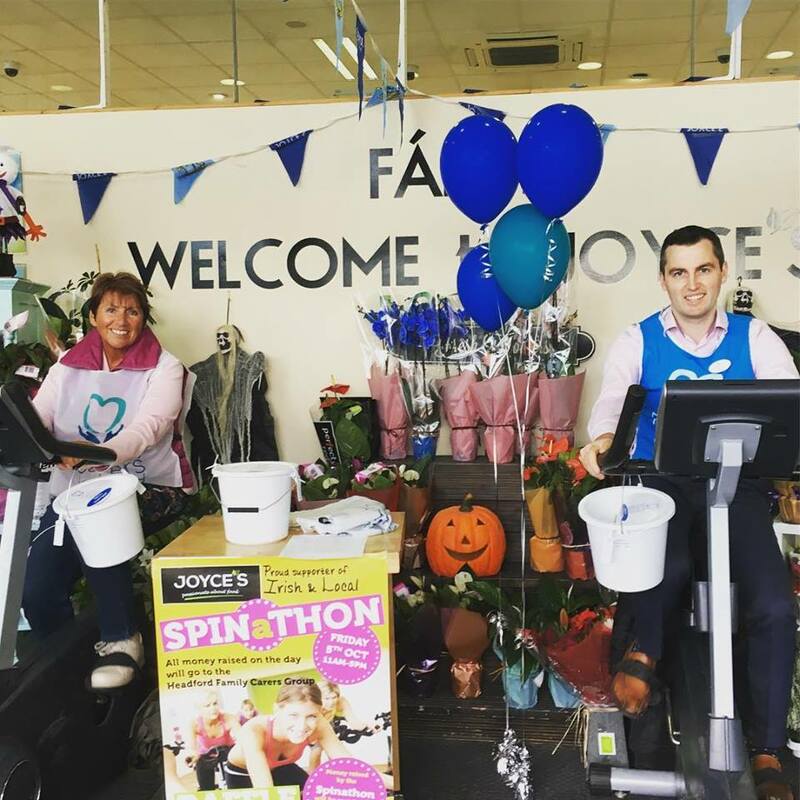 The money was raised at the recent family fun day and a sponsored Spinathon on Friday October 5th in Headford CarePlus Pharmacy. 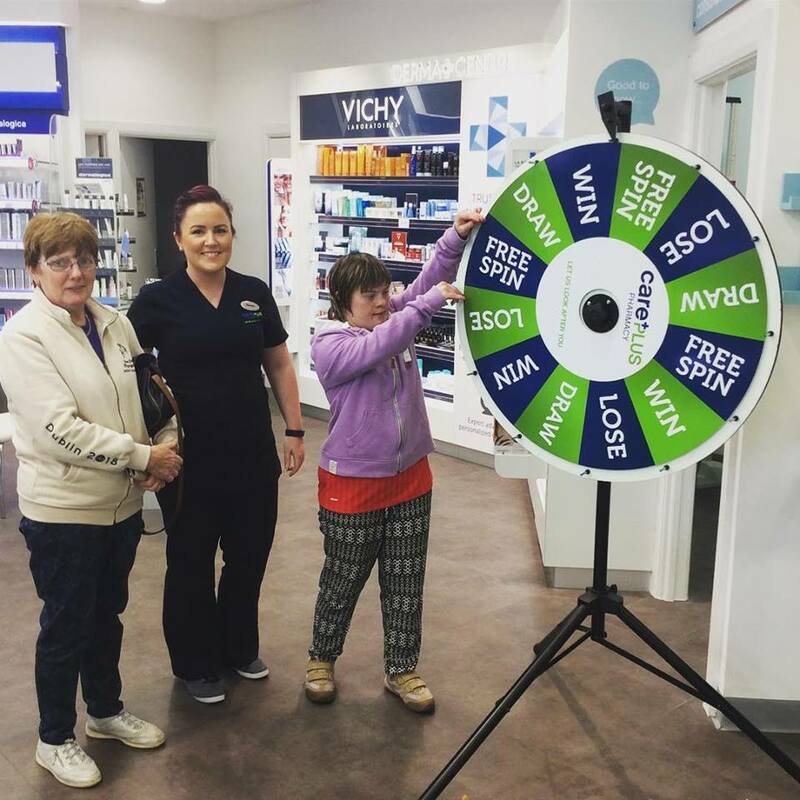 Locals on the day enjoyed face painting, a cake sale and had a chance to spin the CarePlus wheel of fortune and additionally, for every €10 spent in-store on the day, Headford CarePlus Pharmacy donated €1 to Headford Family Carers. Find out how you can raise money for your local charity by visiting the Family Carer's Ireland website. Family Carers Ireland is a registered charity, emerging from the coming together of two long-standing charities of over 25 years in 2016 – The Carers Association and Caring for Carers. The merger brings the best of both charities together whilst broadening the range of services and supports to family carers and giving one national voice to represent fairness for carers. Carers can range from all age groups, with one of Family Carer's Ireland's youngest carers being just 12 years old, caring for his younger brother who has autism, global developmental delay and Ehlers Danlos Syndrome, and is non-verbal. Being a carer - although extremely rewarding - is a very difficult and all-consuming job and the value carers bring to the lives of others and to their communities cannot be mistaken. Thanks to everyone who supported the fundraising and helped to raise such a great amount for this local charity. Call into your local CarePlus Pharmacy if you're interested in learning more about Family Carers Ireland and the great work they do.